Based out of Northvale New Jersey. Jamis is family owned and operated since 1979 and blends the tried and true with new technologies at a very competitive price point. Our shop has had a relationship with Jamis longer than any other brand, we started carrying them back when the modern Campus WheelWorks was forged from the ashes of Campus Bike and Sport Inc. in 1996. Needles to say, we have have sold a lot of Jamis Bikes, which are roaming the streets of Buffalo today. Jamis Bikes are an extreme value, and are very reliable. Their line of hybrids and city bikes are our customers favorite bikes to ride everyday. We also are a big fan of their steel series road bikes and mountain bikes. We stock their excellent line of hybrids in our store and special order many of their other options. One of our best selling bikes over the years has been the Jamis Coda. 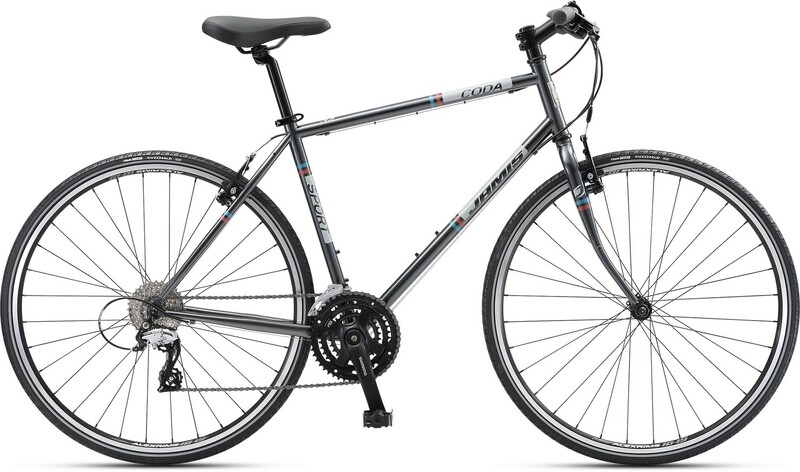 It's reanny a fantastic steel all purpose urban and trail bike that get's the job done. You can see many Coda's around Buffalo and they all came from Campus WheelWorks.